In this paper, I distinguish the Heideggerian Left from the Heideggerian Right, on the basis of their interpretations of the topography of Being that obtains after the Destruktion of metaphysics. I then discuss the contribution that the understudied Heideggerian Right topography can make to the complex of problems commonly referred to as the “theologico-political problem”. I argue that both the theological and the political can be conceived of newly on the basis of right-Heideggerianism, beyond the usual left-Heideggerian theme of secular, radical democracy. Post-foundationalism refers to an approach that seeks to weaken the ontological status of “metaphysical figures of foundation” – for example, nature, essence, totality, universality, and so on. The result of this weakening is the rejection not of all such figures, but of those claiming to be ultimate foundations. According to Marchart, HL theorists interpret political difference as a “founding difference that has to be conceived as negativity”, as a result of which “the social…is prevented from closure and from becoming identical with itself”. Thus, in its social connotation, it should be thought of together with such terms as “openness”, “difference”, “displacement”, “deconstruction”, “undoing”, “undecidability”, “play” and “freedom”. Opposed to it are primarily the notions of closure, fixity, and self-identity – in short, of whatever can be thought of as analogous to that which was on the receiving end of Heidegger’s Destruktion. I’d like to introduce the term “differential political ontology” to designate the ontological difference and the political difference in their interdependence. Differential political ontology risks falling into the trap of what Marchart calls “philosophism” when it tries to think differential ontology “as such” at the expense of – that is, without – the political. Similarly, differential political ontology risks falling into a kind of “aphilosophism” when it emphasizes the political, or the pair “politics-political”, to the exclusion of the ontological difference. In the following section, I develop a RH response to the LH vision of differential political ontology. This section uses certain terms differently from the way in which they are used and understood by the LH. After I set out the structure of the argument, I turn to a comparison of these central terms. Fundamental-political fundamental-ontology differs from differential political ontology primarily in its understanding of Seyn. According to Marchart, Heidegger employs the term “Seyn” in order “to differentiate the evental aspect of Seyn-as-difference from the ontological level of being or Sein”. Thus, Seyn names “the event of differencing in-between the ontological and the ontic”. It is the ever-active constituting event of the two poles of differential political ontology. Seyn “is nothing completely other than ‘being’ (or ‘beings’), and yet indicates exactly the unsurpassable difference between ‘being’ and ‘beings’ – the ground/abyss that opens up in the very event of their differencing” (ibid). Thus far, the HL and HR agree. However, at this point, the former argues that because all foundations are ontological and everything ontological is destructible, all foundations are destructible. It therefore concludes that there are no ultimate foundations, and emphasizes plurality, contingency, quasi-transcendentalism and decisionism. The HR, on the contrary, emphasizes that because the first beginning was partial and resulted in the history of the oblivion of Seyn, the second beginning must not attempt to think being (Seyn) through beings (das Seiendes) or as ontological being (Sein) – nor must it be content merely to remain in the space of difference between them - but must instead let Seyn show itself as Seyn (fundamental-ontological being-nothing). 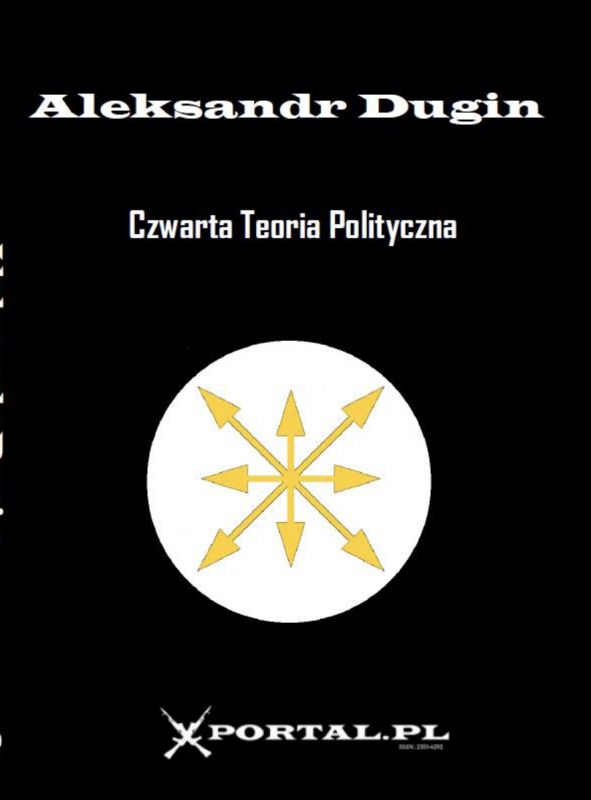 The HR, that is, is oriented towards another Beginning (die andere Anfang), as indicated by the title of Dugin’s book. In his gloss on this image, Dugin writes: “[The Fourfold] is precisely Seyn-being, which, coming to be realized in Ereignis, introduces war into everything, establishing the tension of the great axes of the world”. These “great axes” are fundamental-ontological force-lines of war. Being as Seyn is war, “because it simultaneously includes ‘yes’ [the event] and ‘no’ [nihilation; i.e. das Nichten im Seyn]”. The separation of the no/nothing/nihilation/destruction from Seyn-being “deprives [the latter] of the possibility of happening, and consequently of beings being born, being born in war and to war”. For Heidegger, this analysis corresponds to Heraclitus' formula concerning war as the father of things”. Consequently, in this orientation, the Fourfold schematizes two major fundamental-ontological battles: the battle between Sky and Earth (ouranogeomachy), and the battle between gods and men (anthropotheomachy). The very symmetry of such a depiction of das Geviert urges us to place God at the top in the singular. It is possible that the absence in Heidegger of precisely such a schema in fact explains his stubborn reluctance to answer even somehow the question concerning "the multiplicity of gods or the availability of the one God". But at the same time he obviously has in mind the prospect of a sole God in the fundamental-ontological system of coordinates, to which his use of the word "God" in the singular and, in particular, in the combination "the last God" (namely "God", not "gods") attests. But Heidegger carefully avoids forcing any speeches about God from the justified apprehension of falling into the old metaphysics and ontological theology, which is tantamount to a failure to philosophize in the space of another Beginning. In such a rotation of das Geviert, the maximum opposition and confrontation between gods and men, who in the previous version of das Geviert were seen rather as neighbours, is displayed. Here their relations acquire a more hostile character. The gods war with men, attack them, inflict sores and sufferings on them, mock them, despise them. The gods can kill men, laugh at them, turn their lives into hell. Sometimes men begin to storm the light, aerial citadels of the gods, and sometimes they are successful in killing them ("God is dead, you have killed him, you and I", wrote Nietzsche). Compared to men, the gods are deathless, but compared to Seyn-being, mortal, since Seyn-being is the event and carries in itself nothing as the possibility "to nihilate", "to destroy". Men, as a rule, relate too rationally and utilitarianly, too "technically", even in their completed and elevated theologies and theosophies, to godliness. The gods of religion turn into mechanisms of punishment or forgiveness, salvation or damnation. They become "human-all-too-human", betraying thereby that they have been replaced. Such gods do not war with man, and men do not war with them for one reason: they are not; they are constituted in isolation from Seyn-being, and consequently the clever technical methods of deft men are able to force them to do everything that is pleasing to men. Such gods are subdued gods, dei ex machina. In this paper, I have sought to remedy the situation. My approach was to set forth a partial account of the differences between the HL and HR by focusing on one major point of difference – the Seyn-event and its topography – as articulated by one major representative from each school, Oliver Marchart for the HL and Aleksandr Dugin for the HR. Finally, I tried to connect these observations with the “theologico-political problem”. Principally, I hope to have made a plausible case that the selective use of Heidegger by the HL results in the possibility of employing a certain “remainder” for the creative elaboration of a HR political theory. That “remainder” consists first and foremost in the notions of Seyn, the Seyn-event, and the Fourfold. These provide the elements for a “theologico-politically” novel political theory, committed neither to secularism nor to radical nor republican democracy - and distant, indeed from Nazism. Now that the basic post-foundationalist foundations of this approach have been laid, the necessary work of elaborating it more fully and evaluating its fruitfulness can begin. Marchart excludes the first generation of Heidegger’s students from this definition. Dmitri Yordanov Ginev quotes the following distinction between the Heideggerian Right and Left made by Gianni Vattimo: “Right, in the case of Heidegger, denotes an interpretation of his overcoming of metaphysics as an effort, in spite of everything, somehow to prepare a ‘return of Being’, perhaps in the form of an apophasic, negative, mystical ontology; left denotes the reading…of the history of Being as the story of a ‘long goodbye’, of an interminable weakening of Being. In this case, the overcoming of Being is understood only as a recollection of the oblivion of Being, never as making Being present again, not even as a term that always lies beyond every formulation” [Dimitri Yordanov Ginev, Critique of Epistemological Reason: Perspectives to Philosophy of Science, Art Criticism, and Multiculturalism (Sofia: Pensoft Publishers, 2000): 21]. Less satisfying is Mandarini’s characterization of the ultimate end of the tendencies he gathers under the name “Left-Heideggerianism”: “to provide a political (and rational) foundation for mysticism in terms of the immanent production of a merely residual, liminal negativity”. On the other hand, when he quotes Negri’s statement that “Ontology becomes the science of the rupturing of being” and comments on it that “ontology is the science of revolution; revolution is the practice of ontology”, he certainly captures something important from the Left appropriation of the revolutionary potential of Heidegger’s work. [Matteo Mandarini, “Beyond Nihilism: Notes Towards a Critique of Left-Heideggerianism in Italian Philosophy of the 1970s”, Cosmos and History: The Journal of Natural and Social Philosophy Vol. 5 (No. 1 2009): 38, 53]. Oliver Marchart, Post-Foundational Political Thought: Political Difference in Nancy, Lefort, Badiou and Laclau, Edinburgh: Edinburgh University Press, 2007). Quoted from now on as Oliver Marchart, PFPT. Smith notes correctly that the Left has on standing in criticizing Heidegger, as a right-wing thinker, for apocalyptic or revelatory themes: “Heidegger was not alone in his willingness to accept an apocalypse as the means to a transition to a novel future. Marx, and an army of neo- and post-Marxists, as well as Nietzsche and post-Nietzscheans, are just a few of Heidegger’s fellow travellers from the past 150 years. Let he who is without sin cast the first stone” [Gregory Smith, “Heidegger’s Postmodern Politics”, Polity Vol. 24 (October 1991):160]. For an argument “that ontology had become a shunned concept in traditional leftist discourse because it was tainted by Heidegger and his involvement in German fascism” see Carsten Strathausen, “A Critique of Neo-Left Ontology”, Postmodern Culture Vol. 16 (No. 3 2006). Strathausen notes that for “several leading Marxists”, “ontology [was] an inherently conservative, if not reactionary concept” (ibid., section 13). Aleksandr Dugin, Martin Heidegger: The Philosophy of Another Beginning (Moscow: Academic Project 2010), pp. 121-126. 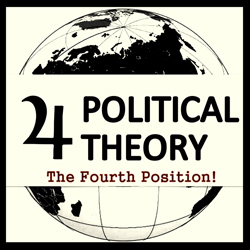 For a more detailed discussion of this “Fourth Political Theory”, see Aleksandr Dugin, The Fourth Political Theory (London: Arktos 2012). Oliver Marchart, PFPT, p. 2. Gregory Smith, “Heidegger’s Postmodern Politics”, Polity Vol. 24 (October 1991):162. Ibid., p. 27., quoting Niklas Luhmann. Ibid., pp. 157, 159, 176n1. Because Marchart is not clear on what exactly he means by “the social” in contradistinction to “politics” and so on, I suggest that we do not pay special attention to his use of the term here, instead reading it as synonymous with the political/politics. (ibid., p. 1). Marchart accuses Heidegger of philosophism in this sense. See also Leo Strauss’s criticism of Heidegger’s excessive attention to the question of Being at the expense of the moral-political problem [Steven Smith, “’Destruktion’ or Recovery? Leo Strauss’s Critique of Heidegger”, The Review of Metaphysics Vol. 51 (No. 2 1997): 376]. Oliver Marchart, PFPT, p. 172. Aleksandr Dugin, Martin Heidegger: The Philosophy of Another Beginning (Moscow: Academic Project 2010), pp. 9-142. For a detailed elaboration of this compressed account, see Dugin 2010. Ibid., p. 144. In the brackets, I have replaced the German terms with their English equivalents. It should be borne in mind that Sky (ouranos) and World (cosmos) are interchangeable for Heidegger (Ibid., p. 147-48). Figure 4 appears on page 170; figure 5 is my modification of that figure. In both figures, Ereignis, the event, is at the centre of the Fourfold, although Dugin also discusses other candidates for the centre of the Fourfold, including Seyn, das Ding, etc. These figures and analyses of them, along with a few others, appear on pages 182-203. There is also the formulation given by Heinrich Meier, that the problem consists in “the urgent confrontation with the theological and the political alternative to philosophy” [Heinrich Meier, Leo Strauss and the Theologico-Political Problem (New York: Cambridge University Press 2006): 4, 1-28]. See e.g. the introduction to de Vries and Sullivan, Political Theologies: Public Religions in a Post-Secular World (New York: Fordham University Press 2006). One major dissimilarity among thinkers of the HL noted by Marchart is that some of them maintain what he calls an “emancipatory apriorism”, according to which differential political ontology automatically implies or serves emancipatory and egalitarian politics [Oliver Marchart, PFPT, p. 159]. Thus we may say that even if the HL holds an aim in common, how they conceive of the relationship of that aim to the differential political ontology may vary, although at least in the case of Zizek, the aim itself differs: Marchart accuses Zizek of abandoning democratic politics for apocalyptic, Leninist “nonsense” [Oliver Marchart, “Democracy and Minimal Politics: The Political Difference and its Consequences”, South Atlantic Quarterly Vol. 110 (No. 4 2011): 971]. There is scant mention in Marchart’s book of the role of the religious or the secular in post-foundational political thought, however. See e.g. Aleksandr Dugin, Martin Heidegger: The Philosophy of Another Beginning (Moscow: Academic Project 2010): 64-91; Jean-Luc Nancy, Dis-Enclosure: The Deconstruction of Christianity (New York: Fordham University Press 2008): 151. Jean-Luc Nancy, Dis-Enclosure: The Deconstruction of Christianity (New York: Fordham University Press 2008): 5. Jacques Derrida and Gil Anidjar, Jacques Derrida: Acts of Religion (New York: Routledge 2002): 40-102. We should keep in mind that, for Marchart anyways, although post-foundationalism does not imply democracy, democracy implies post-foundationalism. Thus, the democratic thrust of post-foundationalist political thought might well reflect that a previous commitment to democratic politics has led a thinker to post-foundationalism for theoretical resources, rather than post-foundationalist premises leading a thinker to adopt democratic politics. [Oliver Marchart, PFPT, p. 158]. Oliver Marchart, “Democracy and Minimal Politics: The Political Difference and its Consequences”, South Atlantic Quarterly Vol. 110 (No. 4 2011): 967. Ibid., p. 968. Also, Marchart writes that: “democracy is to be defined as a regime that seeks, precisely, to come to terms with the ultimate failure of grounding rather than simply repressing or foreclosing it” [Oliver Marchart, PFPT, pp. 157-58]. Samir Haddad, “A Genealogy of Violence, from Light to the Autoimmune”, diacritics Vol. 38 (No. 1-2 2008): 141n16. Marchart, after remarking that no necessarily political consequences follow from the political difference, observes that any consequences drawn therefrom “have to stand the less-than-difficult [sic] test of plausibility when confronted with both the philosophical world of arguments and the phenomenal world of politics” [Oliver Marchart, “Democracy and Minimal Politics: The Political Difference and its Consequences”, South Atlantic Quarterly Vol. 110 (No. 4 2011): 967]. Perhaps the most damning criticism of both the HL and the HR concerns the limits of their confrontation with the first of these worlds. In my opinion, the classical political rationalists have the upper hand here, to a considerable extent. ‘The Philosophy of Traditionalism’, and ‘The Radical Subject and its Double’), I did not accent Heidegger's teaching, although it influenced my intellectual formation in the most direct and immediate manner. My views, my worldview, are indebted to the philosophy of Heidegger only slightly less than to the ideas of Guenon. Heidegger is a part of our worldview, our political theory, our philosophy; he is a sine qua non. Heidegger is no less fundamental than Guenon. But he is another. A comparison of Heidegger and Guenon must not be carried out too hurriedly. We must thoroughly master Guenon separately, and Heidegger separately. And then - only then! - should we think about in what they overlap (and in what they differ). It is incorrect to interpret one from the other. In my opinion, J. Evola in his "Ride the Tiger" made the mistake of too hurried and superficial an interpretation of Heidegger from traditionalist (generalized, Guenonist) positions, where he presents exceedingly wrongly and in a distorted manner Heidegger's ideas and terminology, and even less soundly, and even naively, criticizes them.” [Aleksandr Dugin, Martin Heidegger: The Philosophy of Another Beginning (Moscow: Academic Project 2010): 134n6]. See also the sections entitled “The Return of Tradition and Theology” and “Myths and Archaism in the Fourth Political Theory” in The Fourth Political Theory. Aleksandr Dugin, Martin Heidegger: The Philosophy of Another Beginning (Moscow: Academic Project 2010): 158. Dugin refers to Heidegger’s philosophy as “the most profound…foundation for the Fourth Political Theory”. That philosophy “may prove to be the central axis threading everything around itself – ranging from the reconceived second and third political theories [communism and fascism] to the return of theology and mythology” [Aleksandr Dugin, The Fourth Political Theory (London: Arktos 2012), pp. 28-9]. Dugin writes that one must take a “critical distance” in relation to “democracy” in order to create the space to think it through conceptually. Above all, one must refuse to adopt it as a dogma. “Not to believe in democracy does not mean to be its adversary. It means not to be its prisoner, not to find oneself under its hypnotism and suggestion”. A political philosophy that takes the goodness of democracy to be an apriori forfeits the right to call itself philosophy. These comments are taken from “Deconstruction of Democracy”, an article in which the metaphysical foundations of democracy are discussed in the context of eight theses from Plato’s Parmenides. http://konservatizm.org/konservatizm/konservatizm/071112131204.xhtml (accessed 17/11/12). See Dugin’s lectures on Ethno-sociology, some of which are available online, in English, at http://4pt.su/ (lectures on Ethno-sociology read at Lomonosov Moscow State University are available in Russian at konservatizm.org/ethnosoc.xhtml).